Marc Chagall was a prominent stained glass artisan and influential artist. While Chagall practiced many art forms, his contributions to stained glass, as an art form, were vast. Chagall’s work is distinct for both its subject matter and its unique appearance, and has captivated the attention of individuals around the world for centuries. Today, his work and stained glass windows can be found on multiple continents, including the countries of Jerusalem, Germany, the UK, and the United States. 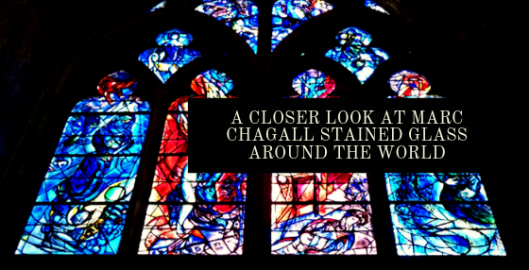 In this article, we’ll examine some of the elements that made Marc Chagall’s stained glass famous as well as his most notable masterpieces. March Chagall stained glass is known for both its incredibly beauty and intense subject matter. People are drawn to Marc Chagall’s stained glass windows because of their intense color and the emotional connection they feel when gazing on the figures and subjects painted on the stained glass. Marc Chagall thought intensely about the way that light affected his stained glass and how the stained glass changes depending on the angle, light intensity, and weather outside. Some reoccurring themes in his work include love, war, and religion. Images of musicians and circus people can often be found in his work. Marc Chagall completed his first major project involving stained glass in the year 1956, when he was about 70 years old. He later went on to produce many notable works, which are renowned today as masterpieces. 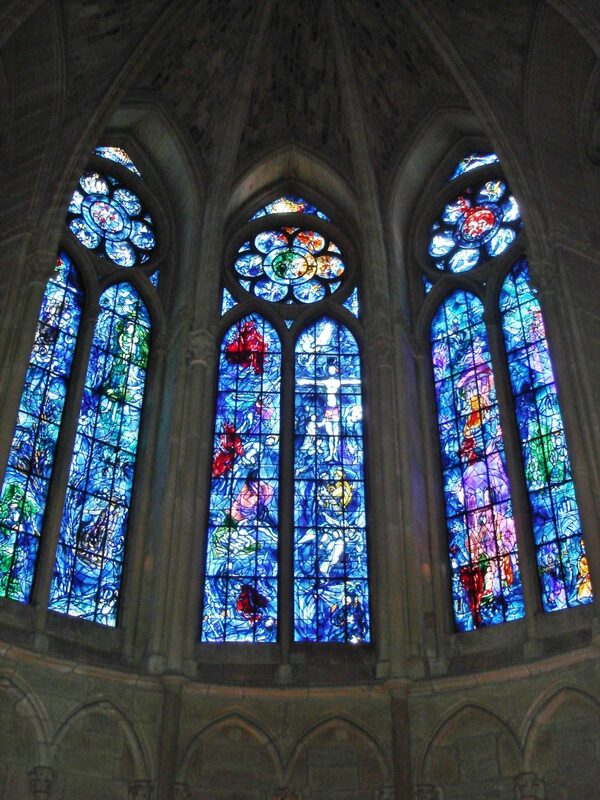 When discussing Marc Chagall stained glass, it’s almost impossible to avoid referring to the Jerusalem Windows. When painting these twelve stained glass windows, Chagall envisioned them as “jewels of translucent fire” that belonged to a crown being offered to the Jewish Queen. Another one of Chagall’s most famous stained glass works can be found in the United States. Chagall created the America Windows for the Art Institute of Chicago as a tribute to the American Bicentennial and America’s commitment to religious freedom. To see more beautiful examples of stained glass windows, please check out our gallery. Or if you are interested in installing stained glass in your home, business, or church, you can contact a member of our team directly.